VOLVO CARE. AUTONOMOUS WELLBEING IN 2030. What is future Wellbeing in an autonomous car? This question was asked by Volvo Cars. The question initiated a collaborative and interactive project done by a mix of interaction and transportation designers at UID. 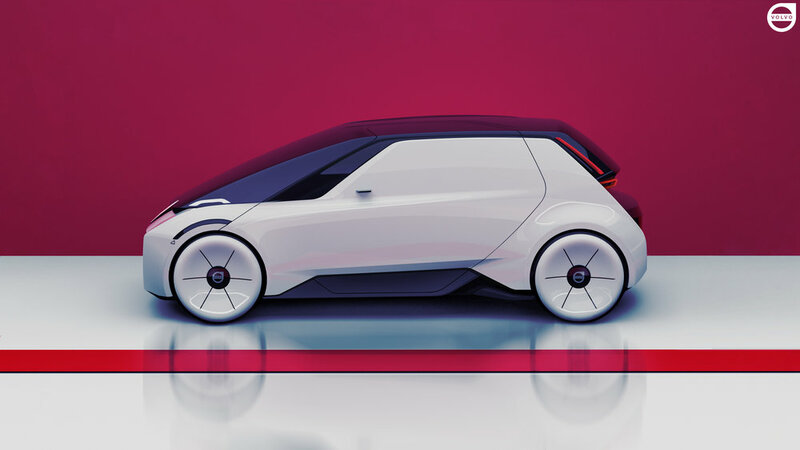 With an explorative mindset my team investigated how people will feel and interact with the car in the future. We found by our interviews and research on wellbeing that modern society makes people stressed and overworked. We found that autonomous driving should be able to give people both relaxation, and keep the thrill of freedom and get-away driving. In our concept you will meet Simon. His company recently joined the Volvo Care Service for all its employees. Volvo Care is a service package, that comes with a wearable patch. This patch, and the service together with the Volvo Care app takes care of your health. It sets up how the car interacts with you, and starts adapting to you and your needs. The car comes with adjustable interior settings and UX. The holistic service syncs to ones daily work rhythm, using sensors and biometric calculations. 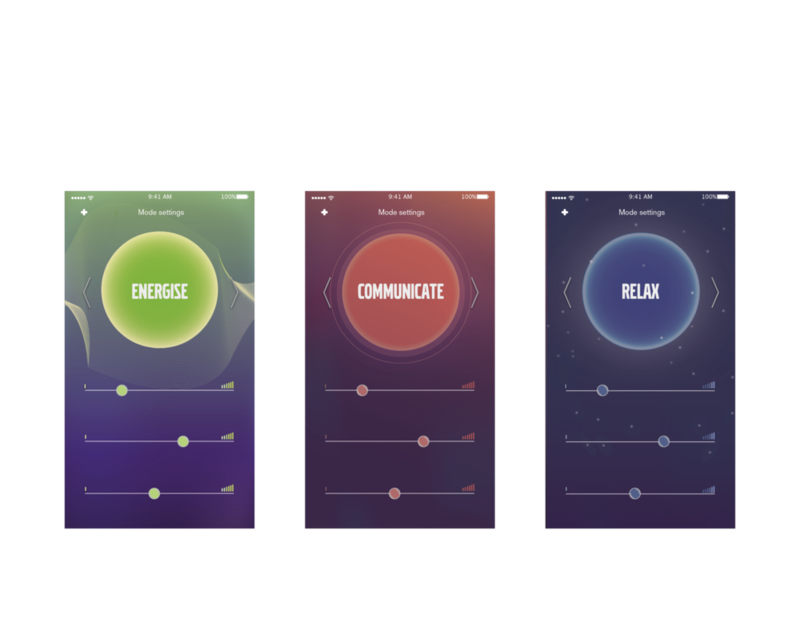 The app will show Simons stress levels and give health recommendations. Inside the car, the adaptable UX and settings will give a relaxing experience. The car's interior settings provides variation in three driving modes. Wherever Simon chooses to go - autonomous city driving or a get-away cabin trip, the perfect situation will occur automatically, staying put or taking over the wheel. The future of seamless autonomous driving is near us. With the Volvo Care package, you agree to an enhanced and seamless personal service with your car. You onboard a personal health programme, used to increase productivity and reduce stress level. The contract and package arrives at your doorstep upon signing. Adjust the settings as you wish. The three modes entails relax, energise or social. The seatings in the car adjust accordingly, and many other functions such as massage and light settings. The drive mode lies inside the active mode, you have the option to take over and drive the car in in full grade level - 4 autonomy. The patch is a biometric sensor that adjusts the cars interior settings after your mood and stress levels. During a bad day, the car might give you some light massage. If your heart rate is going up, it will warn you. We all agree that a future with autonomous cars is quite not here yet. In this project we had to challenge ourself in imagining a future unlike other. How will we control our cars in the future? In this project, an app and also seamless interaction within the interior gives you control, and a unique experience. I was prototyping lights and capacity touch sensoring, even though it was not the main part of the project, I learned the instant gratification and delight of touch. I believe it is here to stay in how we will interact seamlessly with things tomorrow.
" In the car, I just want to relax. But I also seek other things. Being active is an important part of a Scandinavian lifestyle. We interview various people on the streets, and at spa:s there for relaxation. People said that the current lifestyle was pretty stressful, and that the car is a place for relaxation and sometimes a getaway trip to the nature. They admitted that being active was also a very important relaxation mechanism. How could we help people to live a flexible and fulfilling life in the car in the future? “In the future we might spend many hours in an autonomous car. We realised people need both relaxation and an active lifestyle. A concept about Volvo Care started forming. A concept made for employees benefit, from the company they are hired at, in collaboration with Volvo. I was the only interaction designer in the project and the collaboration was great to learn from the field of transportation design, on how much a brand can encompass contemporary expressions and wishes. What if the car could be a safe haven for you, taking care of you, also prompting you to do things that are good for you? The service began to form and we had close collaboration to sketch out the details and make adjustments to the concept as it progressed. We tried out 1:1 size of the interior to ideate on spaces where the controls should be. Some challenges for me was figuring out where the control of the car should be placed, since you would not always be driving, but still would want to adjust light, heat, massage and all the newly added functions. I agreed upon with tutors to make the control as variable options- an app, and also through different physical sensor spots within the interior, sensitive to touch. In this project, I learned a lot about the importance of UX - and how much of a role good UX and interaction design has to play along with a concept to make it understandable and delightful. I worked hard as a single interaction designer in this project to express how the user would own his autonomous car, and interact with the car service. I learned how to work in a commercial business space with client presentations, and conduct a lot of quick iterations to make things work.